With all the headlines focusing on Lyft Inc’s (NASDAQ:LYFT) almost billion-dollar loss, investors going through the prospectus may have glossed over a potentially huge opportunity for LYFT stock: electric scooters. There are a lot of naysayers who think scooters are a fad that will fade. The reality is that the future is uncertain, but scooters are certainly gaining traction in urban areas, as scooter providers partner with cities to alleviate traffic congestion and provide an affordable alternative for short-duration travel. So say what you will about scooters, but it doesn’t look like they’re fading. If anything, these are the early innings of a transportation revolution. The name of the transportation revolution is multimodal. The future is more than just autonomous cars. The modes of transportation are expanding to address shorter trip lengths. That’s where bikes and scooters come in. The value proposition is compelling even if you might not see yourself scootering to and from work on a daily basis. It’s very affordable, and LYFT is solving that first-mile and last-mile leg of trips with bikes and scooters. In cities where public transportation only gets riders somewhat close to their final destination, there can be a symbiotic relationship between LYFT and public transportation, rather than an adversaria, all-or-none one. By filling that role, LYFT can make money and boost LYFT stock. Scooters are more efficient than walking and even cars in areas with heavy traffic. The user experience is smooth and easy. Riders can access Lyft scooters via the app and utilize nearby scooters. They can reserve a scooter ahead of time or use the Lyft app. It’s as simple as that. LYFT has built a platform that allows riders to choose from a broad set of transportation options to easily optimize for cost, comfort, and time. Now LYFT just needs to focus on monetization that can boost LYFT stock. Last November, LYFT purchased Motivate, the largest e-scooter company. Not wanting to be left behind, a month later, Uber followed suit, purchasing Motivate’s competitor, JUMP. Motivate operates Ford GoBike, which has a ten-year exclusive contract with Bay Area cities, including San Francisco, to run docked bikeshare operations. Motivate operates roughly 3,700 shareable bikes in the Bay Area. JUMP has only 500 bicycles in San Francisco. Per its prospectus issued in conjunction with the IPO of LYFT stock, LYFT has been steadily increasing its investments in its scooter fleet. Two years ago, it spent just shy of $9 million on property and equipment related to its scooter fleet. Last year, that figure jumped to $69 million. For LYFT stock, the money it’s spending on bike and scooters are investments in the future. It’s about improving access and the user experience to keep consumers coming back to Lyft’s integrated transportation options. Investing in technology is all about the future. That future is predicated on the truism that you need to be investing in something that people don’t even know they want or need. That was the premise of Apple ’s (NASDAQ:AAPL) rise to prominence, and its continued march toward a trillion-dollar market cap. Investing in the future inherently means investing in something uncertain, but not making those bets means certain obscurity in the future. The future may look hazy, but tech companies always have to be looking ahead of the curve. LYFT is doing exactly that. In the long-run, that approach will definitely benefit LYFT stock. 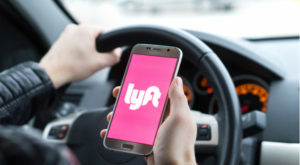 Article printed from InvestorPlace Media, https://investorplace.com/2019/04/lyft-stock-is-the-best-vehicle-to-play-the-future-of-transportation/.